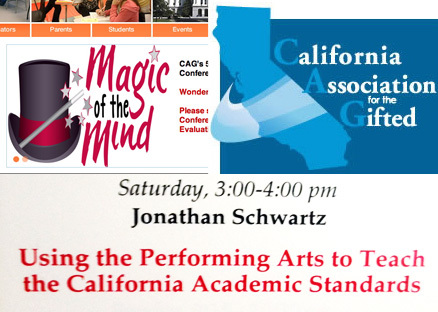 The Kids Like Blues Band‘s work was recently featured at the California Association for the Gifted “Magic of The Mind” 51st Annual Conference in Anaheim, CA. 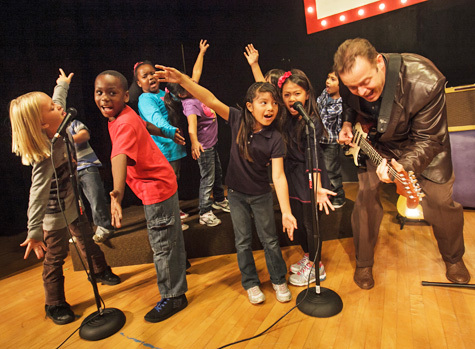 Kids Like Blues guitarist and classroom teacher Jon Schwartz was the featured presenter at the workshop “Using the Performing Arts to Teach The Academic Standards“. He shared videos that the class has worked on, which illustrate how they use classic American blues music to teach language arts, English fluency, US History, technology like blogs and Photoshop, the visual and performing arts, and self-esteem. Although we’re known to many as the “World’s Youngest Blues Band”, our performing work, videos, and recordings are merely the icing on the cake. 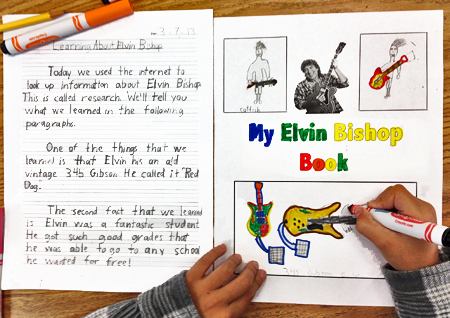 We actually are a 30 member second grade class from a public school in Oceanside, CA, and we use blues music as a thematic teaching tool to cover academic standards. 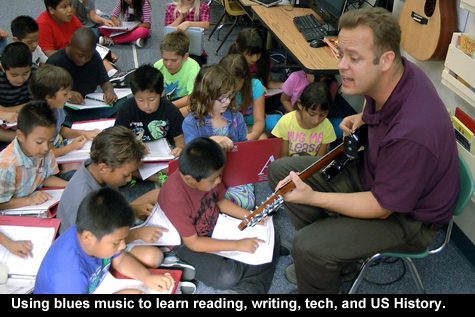 One might ask, “How do you have time to include the performing arts when you are responsible for teaching academics?” The answer, as proven by how much our kids are learning, is that the performing arts provide a unifying theme that cohesively bind the different academic disciplines in an engaging and meaningful way. 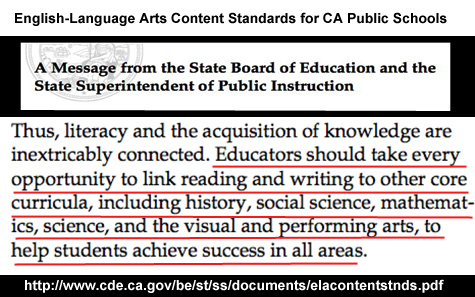 In fact, as you will see below, the State Board of Education requests that teachers link the different academic disciplines together in creative and interesting ways. So the work that we are doing isn’t a diversion from the academic work we have to cover, it’s an effective way of delivering it, and the kids love it! Our innovative cross-curricular work has been featured by the US Dept. of Education and KPBS, and we’ve played on live TV, for talent shows, on college campuses, and even at corporate leadership conferences. 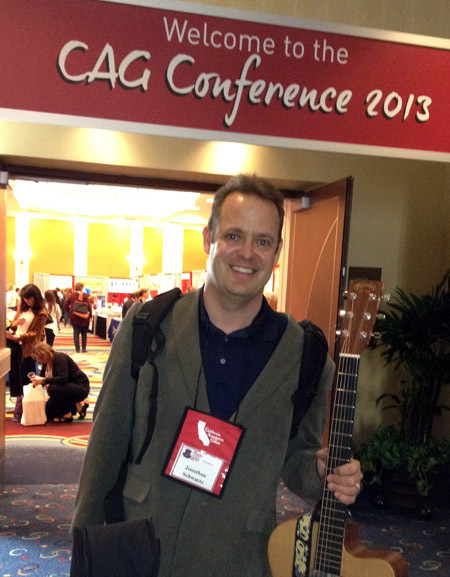 In fact, we just had a “gig’ this week where we played for the Sage Hospitality 2013 Leadership Conference at the Del Mar Hilton. The company wanted to show their national management staff how we work together to accomplish neat things, even at such a young age. We had a blast and the company kindly paid for our transportation to the resort and donated much-needed laptops to our classroom! Details and pics to follow in the next blog post….